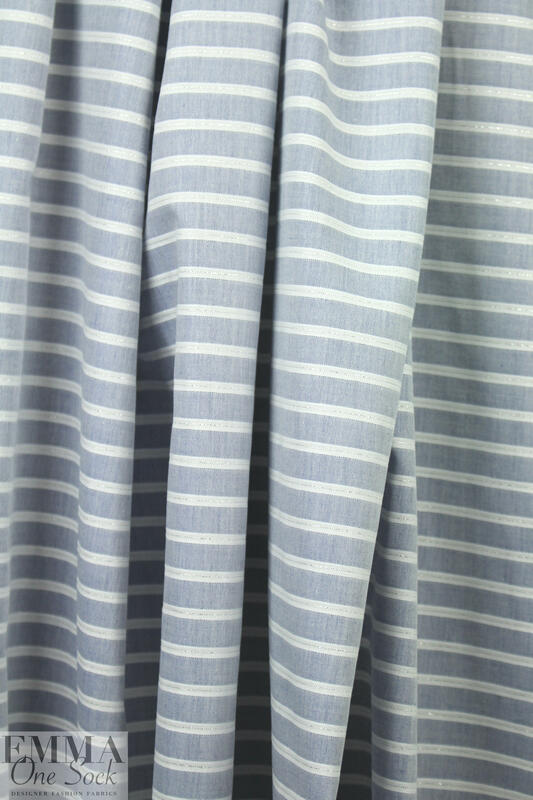 This classic beauty with modern twist is a lovely quality Italian yarn dye stripe cotton shirting with chambray blue (PANTONE 16-3919-ish) and white stripes, adding a hair-thin silver metallic highlight stripe in the middle of each white stripe. 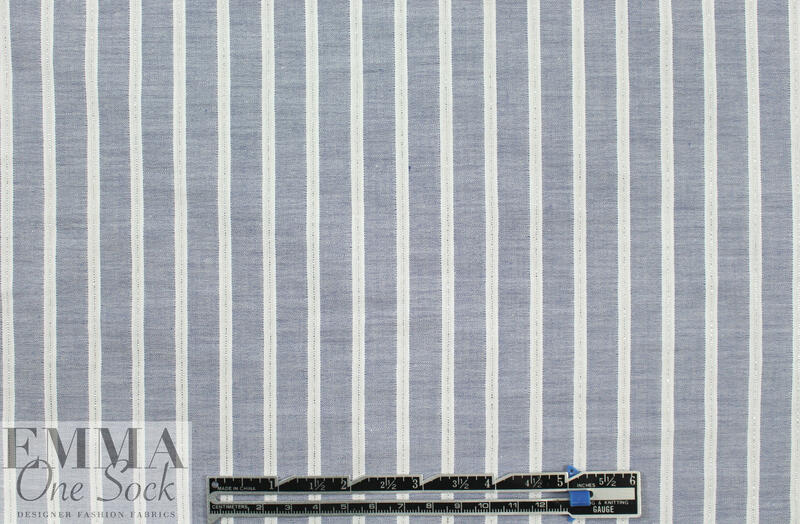 It is a light shirting weight with a very tight weave and a cottony drape, and the stripes go across the width. 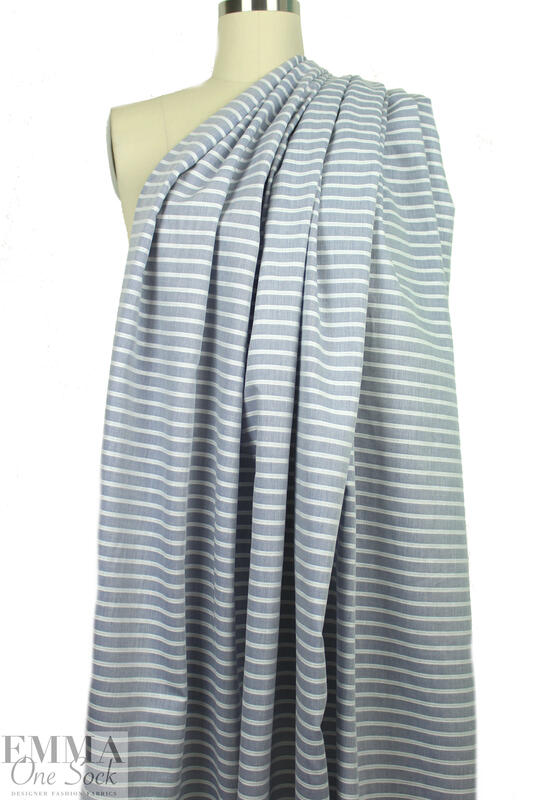 You can cut your garment in either direction, or a mix. 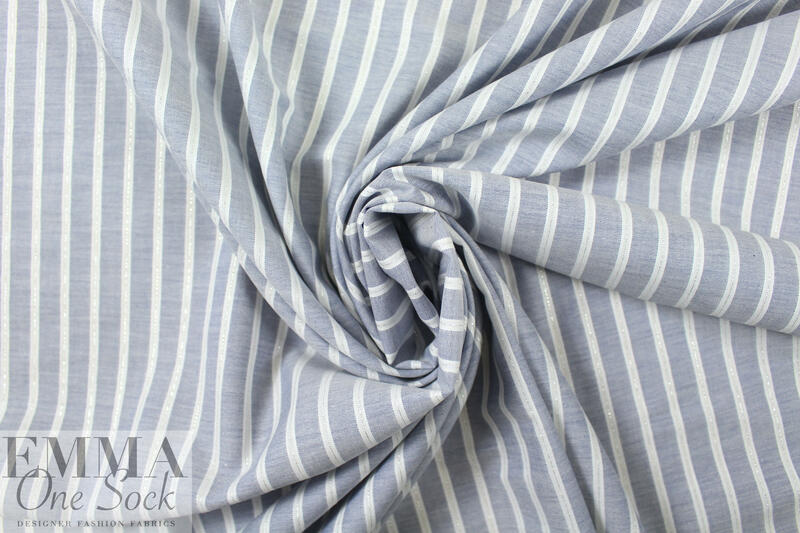 Perfect for shirting, top, tunic, etc. If you wish to hand or machine wash, please test first. Hang to dry.